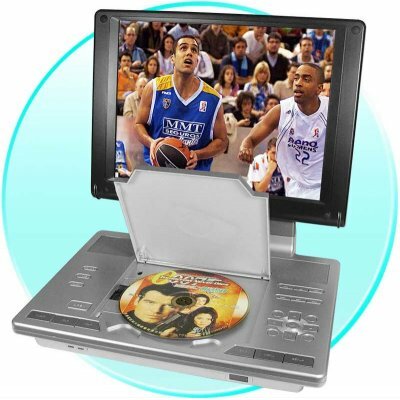 Successfully Added Super Large Screen Portable Disk Player - 4:3 Letterbox Display to your Shopping Cart. Low priced Portable DVD Player with a super large 10.4 Inch TFT LCD Screen with displays in 4:3 Letterbox for a great movie like experience. This multi disk playing device is compatible with many formats including the very popular DivX and MP3/4, has a built in TV Tuner allowing you to watch in PAL, NTSC, and SECAM, a long lasting built in Lithium Battery, among its features. Low Priced and High Quality products are what Chinavasion likes to bring to you and your customers, and this Portable DVD Player is sure to be a hit for anyone interesting in having something to do while on long trips..